Please message if the times listed for Phone Consultation do not work for you. Our customized skill coaching includes doing all of the exploratory groundwork research into how to do whatever you want to learn with the guidance of a buddy who's there every step of the way - fitted to your budget and schedule though some restrictions may apply. Public locations are negotiable. Please contact us for your customized plan before purchase. Can be held at Unity Community Center, the location is conveniently located near the Berwyn Redline and many buses. There is also plenty of street parking west of Broadway near the location as well. Please message if the times listed for Phone Consultation do not work for you. Phone consultations are listed for Saturdays from 8:45am to 9:15am. All other times negotiable. The rate for after research guidance is $20/hr learning together and a flat $40 initial research fee beforehand. Consultations to explore what your plan might look like are FREE. Supplies are not included. 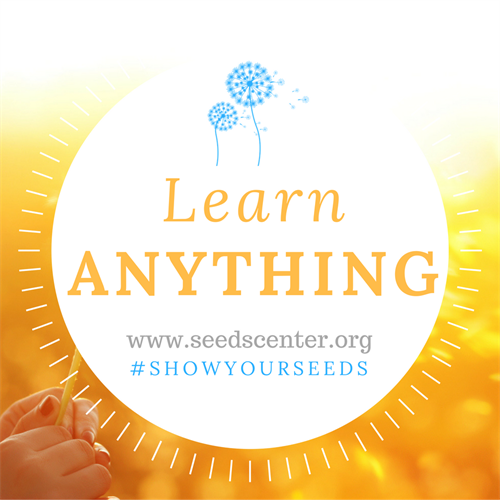 Buy any Seeds Center Sampler package, and the price is discounted for your one-time classes!